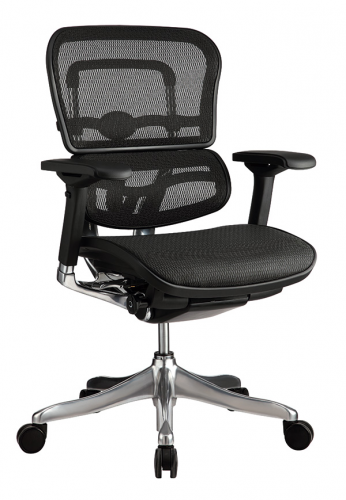 Back Angle Adjustment: Adjust to achange the angle of the back in relation to the seat. Will allow for multiple angles based on individual's size. 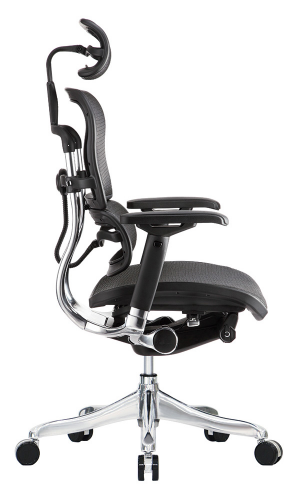 Synchro-Tilt: Backrest and seat tilt in unison. 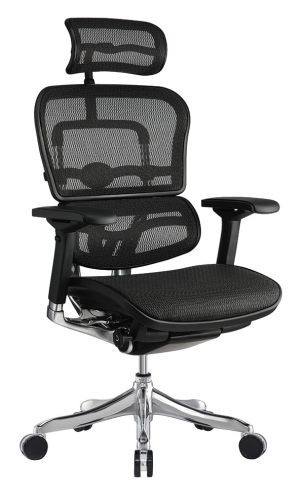 Back tilts more than seat and is tension adjustable. Seat Height Adjustment: Raise or lower so your feet rest flat on the floor. This will accommodate individuals of all different heights. Waterfall Seat: Redues pressure at the back of the knee allowing for good blood flow. Back Height Adjustment: Raise or lower support the lumbar (lower back) region. 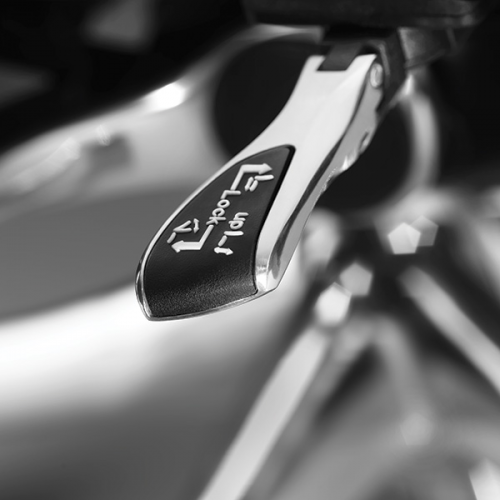 Seat Depth Adjustment: Change the depth of the seat to accommodate the length of your thighs. Keeps you back in contact with the backrest while avoiding pressure behind you knees. 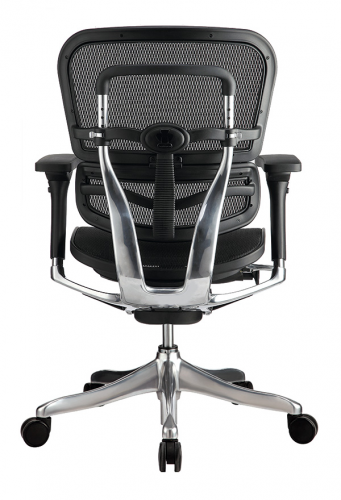 Width Adjustable Arms: Adjusts arms inward or outward to match an individuals's shoulder span for maximum confort. Arm Height Adjustment: Raise or lower so your forearms rest comfortably while typing at a computer and working at your desk. Swivel Arm: Arm swivels left to right. Arm Depth Adjustment: Arm moves forward and backward.